Rozdoum - Mobile Software Development House that delivers business solutions by creating iOS & Android applications: Our proven cases prove our expertise in: - GPS tracking and location-based services, - offline data synchronization, - implementation social features Main Goal: to give a Remedy to the Client. Core Focus: to lift your business! Great open source app idea! You are welcome to use it, and if need any help or custom development for this or any other mobile app, please feel free to contact the Rozdoum team! When I came to Rozdoum I had only several hand-drawn mockups with a raw idea of an application. We have really grown the whole project together from scratch. We build the native app for two platforms: iOS and Android. The design was really amazing and hard part of work, all the mobile screens were created with native UI features like swipes, flicks, etc. The app embraces a lot of social features like sharing wishes, birthday reminders, friends invitations and so on. To make the contribution process easy and fun, WePay payments were implemented. The project was delivered within the deadline. I greatly appreciate the result-driven approach of the whole team. They generously share its experience, and it was a great help at early stages of project development. Rozdoum experts always think ahead and help with advice to make the right choice and avoid critical mistakes. Rozdoum has a very professional approach. You really feel that the team is not just working for you, but with you. They are our partners more than vendors. If there’s something that needs to be discussed on a high level, the CEO is always available to take calls or respond by email. I have a social mobile project that was about a year in the development. Before make it public in the USA I had to test it and be sure it is as much ready for the production as possible. Rozdoum appeared on my way just in time! They provided me with excellent services, responsiveness and results. Rozdoum QA guys have been very nice, I am very happy to have you guys here! Spasibo! 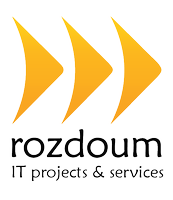 If you're thinking to outsource your project to Rozdoum software development house, you have made a very good choice. They have really wide experience as well as their approaches to communication are really meet my expectations. Rozdoum team are scrupulous responsive to our requests and ideas. When it comes to app development, they are not only talented and skilled, they also truly listen to the customer. Every person I interacted with at Rozdoum was pleasant, skillful, efficient, and they all seemed honestly happy to help. I will definitely come back to this team if I have another project. The project was done on time that made me really happy. Thanks guys for your effort!